earn a Class 5 community rating. from a 10 to 1 scale which determines their flood insurance discounts. their policy premium, which is an average savings of $285 per policy. than $437,000 because of the community’s CRS participation. 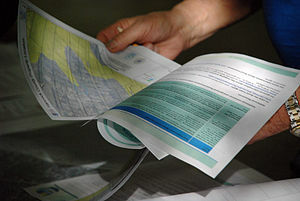 For more information on the NFIP’s CRS program visit www.fema.gov/business/nfip/crs.shtm. For more information about the NFIP, a program administered by the Federal Emergency Management Agency (FEMA), visit www.floodsmart.gov. THE FOLLOWING IS REPRINTED WITH PERMISSION FROM THE LOS ANGELES FIRE DEPARTMENT BLOG. I MUCH APPRECIATE THEM SHARING THIS WITH US. The Los Angeles Fire Department has received thousands of e-mail inquiries, all seeking to know “Is this true”? The original “ICE” concept for listing your personal emergency contact on a mobile phone is well known to LAFD responders. It is obviously an idea that gives people peace of mind – yet should not be relied upon as a sole source for personal identification or emergency contact. It is important to note that the original ICE concept is both free and simple: you choose an appropriate person to be contacted in case of an emergency and label their phone number as “ICE”. As one might anticipate, some businesses have sought to offer “fee-based” services and smart-phone applications related to ICE. Contrary to what some may infer, it is not necessary to register or pay money to make an ICE entry on your personal wireless phone. Our friends at Snopes.com offer information about the history of ICE – and some regretful hoaxes that have followed. The Los Angeles Fire Department supports the original ICE concept as a free and potentially helpful tool in the minutes and hours that follow an emergency. Contrary to e-mail warnings, ICE is not something that Paramedics rush to look for the instant they arrive at an emergency, and is certainly not required for LAFD Paramedics to provide quick, focused and compassionate emergency care. We tell people: Add ICE contact information in your cell phone only after you’ve affixed similar information to (or near) the official photo identification you routinely carry in your wallet. With so many types of wireless phones, it can take precious minutes to learn how to access a phone’s directory. Many wireless devices are also found to be locked, damaged or have discharged batteries following an incident, rendering ICE unusable. Please encourage your interested friends and colleagues to make a free ICE entry in their cell phone, especially if it will give them peace of mind – but never at the expense of written emergency contact and medical information. The free original ICE concept works best when it is part of a comprehensive family or business plan for dealing with emergencies and disasters. Whenever you have a question about the policies and procedures that Firefighter/Paramedics use in handling emergencies, do not hesitate to visit your Neighborhood Fire Station.